Graphic design has broadened its reach over the past decade, expanding from a specialized profession to a widely deployed skill. 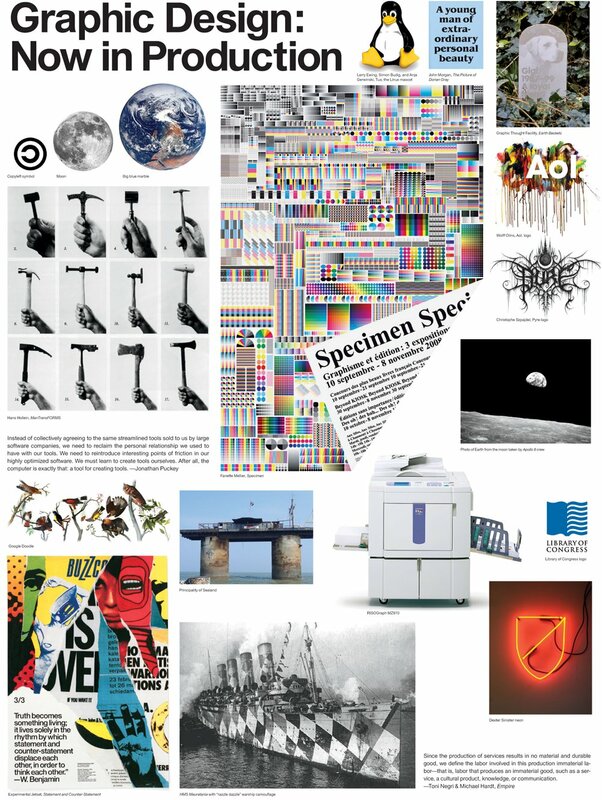 The rise of user-generated content, new methods of publishing and systems of distribution, and the wide dissemination of creative software have opened up new opportunities for design. 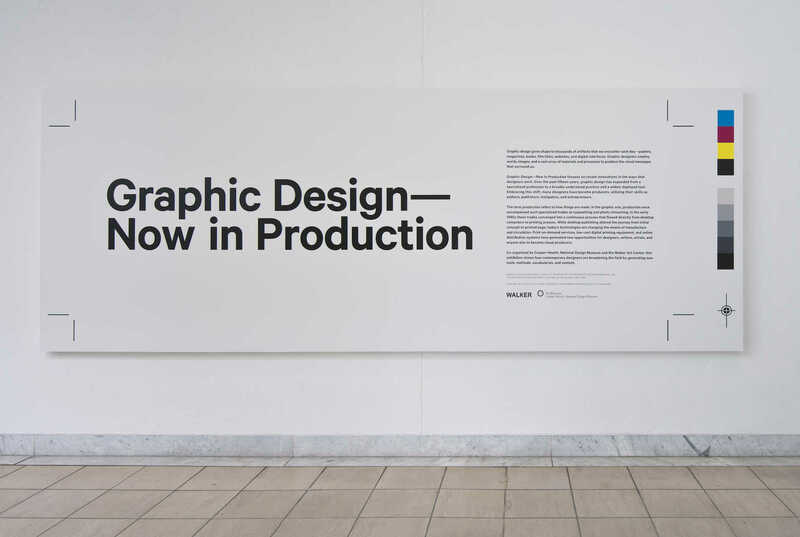 Featuring work produced since 2000, ‘Graphic Design: Now in Production’ explores the worlds of design-driven magazines, newspapers, books and posters; the entrepreneurial spirit of designer-produced goods; the renaissance in digital typeface design; the storytelling potential of film and television titling sequences; and the transformation of raw data into compelling information narratives. 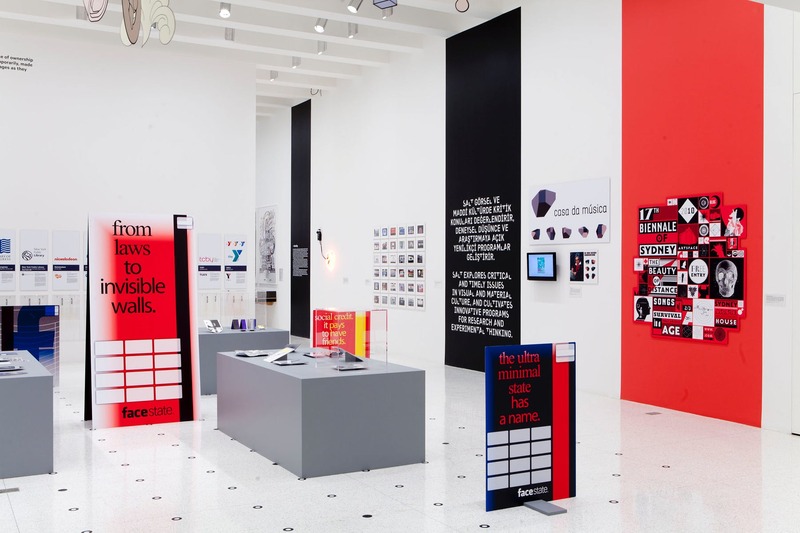 “The exhibition features work produced since 2000 in the most vital sectors of communication design, exploring the world of design-driven magazines, newspapers, books, and posters; the expansion of branding and identity programs for corporations, subcultures, and nations; the entrepreneurial spirit of designer-produced goods; the renaissance in digital typeface design; the transformation of raw data into compelling information narratives; and the storytelling potential of film and television title sequences. 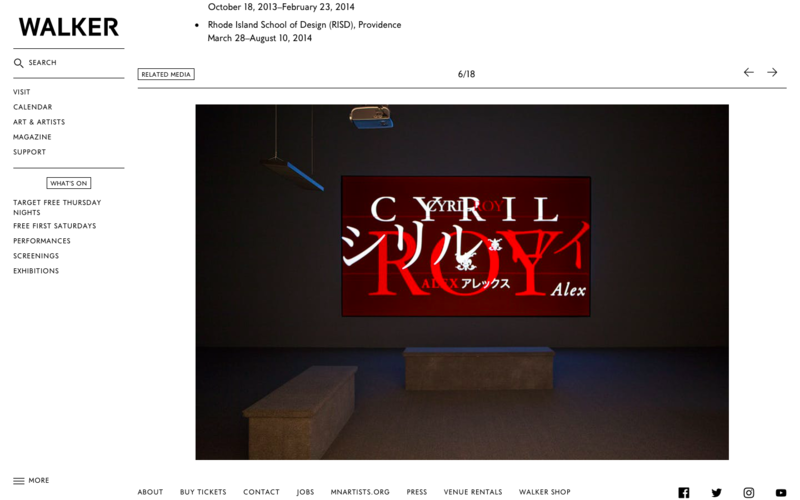 For the latter section, Art of the Title was asked to guest curate a ‘screening room’ for the titles section of the show, and for the past ten months we’ve worked to produce a comprehensive list of film and television title work created within the last ten years that exemplifies contemporary title design.